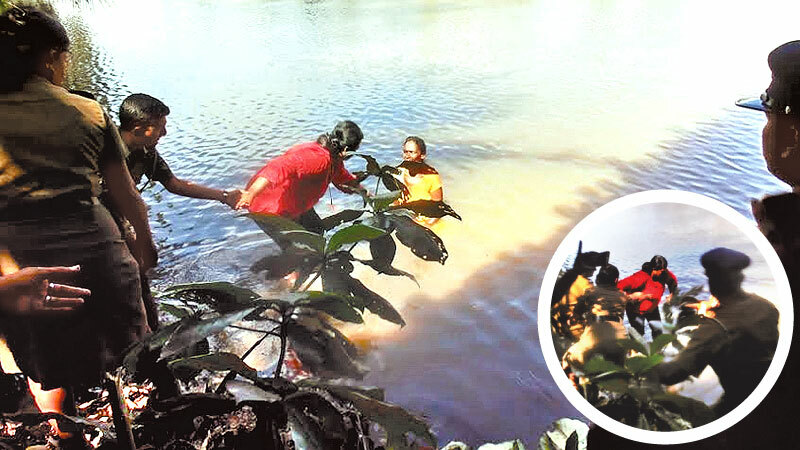 Head of the Women’s and Children’s branch of the Matara Police IP Waruni Bogahawatta mannaged to persuade a widowed mother of six children (one boy and five girls) from drowning herself in the Nilwala river yesterday morning. The woman who was widowed three years ago was greatly distressed that she was unable to fend for her six children whose ages ranged from six to seventeen and decided to end her life. She had brought the four youngest children with her to Matara on Wednesday morning and waded waist deep into the river under the Mahanama bridge when passers by notified the police. The police officers were unable to change the woman’s mind until IP Bogahawatta arrived on the scene and persuaded the woman to come ashore promising her that the woman’s grievances were looked into. The woman was to be admitted to the Matara hospital for medical attention while the four youg girls were to be taken care by the Department of Probation.